Dr. Kothapalli earned Bachelor's degree in Chemical Engineering from Andhra University in India, and Master's degrees in Chemical Engineering and Materials Sciences from Mississippi State University and University of Connecticut, respectively. He received his PhD in Bioengineering from Clemson University in May 2008, where he identified and optimized biomolecular cues comprising extracellular matrix components and growth factors, for regenerating elastin in aortic aneurysmal blood vessels. During his Postdoctoral Fellowship in the Biological Engineering Department at the Massachusetts Institute of Technology, he developed microfluidic assays to evaluate neurite responses to growth factor gradients in vitro, and investigated axonal targeting of projection neurons (e.g.,corticospinal motor neurons) in three dimensional cultures. At MIT, Dr. Kothapalli also identified the role of microenvironment (matrix composition, stiffness, porosity, growth factors) on embryonic stem cell differentiation into various neural and glial lineages, for wide-ranging applications in cell transplantation therapies. His current postdoctoral work on glioblastoma cell migration and proliferation in 3D milieu is funded by the "Emergent Behaviors of Integrated Cellular Systems" grant by NSF at CUNY. So far, Chandra's research has resulted in one patent filing, 22 peer-reviewed publications and proceedings, and more than 30 conference and seminar presentations. Among his numerous honors, he is a member of Sigma XI, and was the Presidential Scholar at the Medical University of South Carolina. He is also excited at the possibility of teaching and mentoring undergraduate and graduate students in chemical and biomedical engineering principles. Dr. Kothapalli holds an Adjunct Staff appointment in the Department of Biomedical Engineering at the Lerner Research Institute in Cleveland Clinic. He is also an Adjunct Assistant Professor in the Division of General Medical Sciences at the Case Western Reserve University School of Medicine. 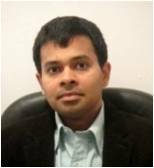 Dr. Chandra kothapalli's research focuses on Tissue Engineering, Regenerative Medicine, Biologically-inspired Materials, Applied Microfluidics, Stem Cell Therapy, Bioimaging, Nanotechnology in Biomedicine, Cancer biology.